On our second day at Machu Picchu, we decided to hike to Intipunku, the "Sun Gate" at the end of the Inca Trail. The Sun Gate provides those doing the Inca Trail hike their first view of the Incan city. 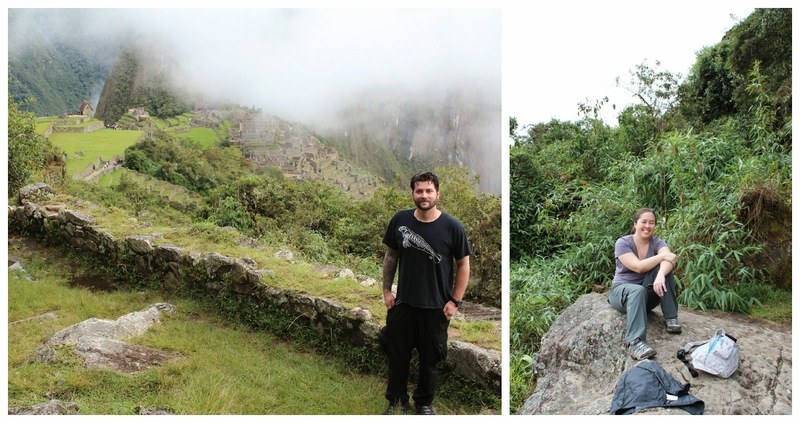 We chose the Intipunku hike for two reasons: 1) I am afraid of heights and did not want to deal with the crowds on Huayna Picchu, and 2) Dan wanted to see where the Inca Trail ends. The hike was steep, but we took our time with photo and water breaks on the way up. I think we took 90 minutes to get to the top, with those generous stops. Definitely bring water though, as it is a stairmaster climb. The way back down was much faster, and we did not stop for any breaks. I was admittedly tired with the altitudes in the country and all of the walking/uphill climbs, so we didn't spend too much longer exploring the city afterwards before heading back to Aguas Calientes for lunch. 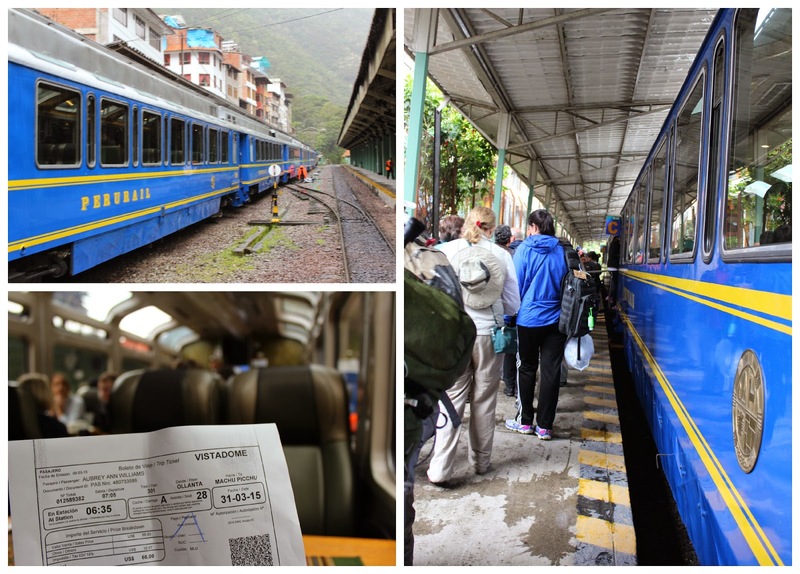 After a lunch, we boarded our train back to Ollantaytambo. This voyage featured a fashion show (to convince us to buy fancy alpaca clothing) as well as a scary-looking traditional dancer taking over our car for a bit. Machu Picchu was everything we'd imagined it would be, and we loved every minute that we were there! This is pretty incredible. Once in a lifetime! How close can you get to the little city? I REALLY hope the fashion show just a bunch of alpacas wearing tophats and pearls. Fancy alpaca clothing! Real talk though this trip sounds amazing and a perfect way to start your lives together! But for realz this trip was the best I've ever taken! LOL I wish it worked like that!